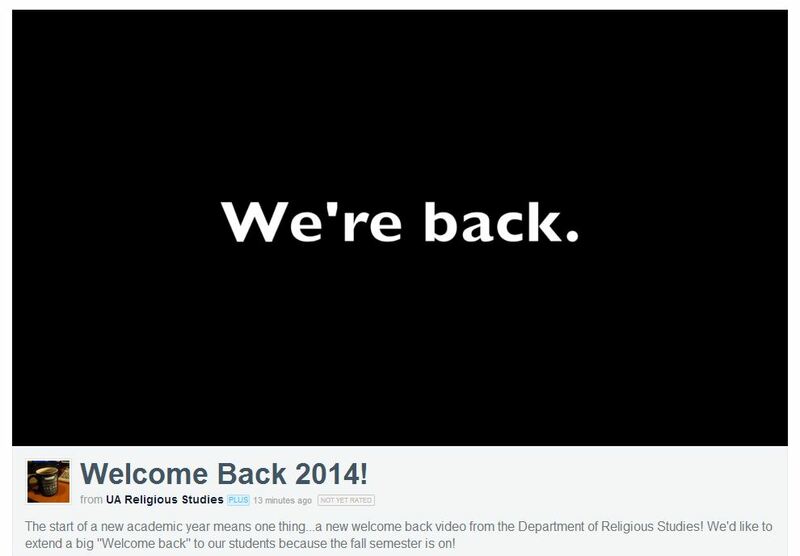 Welcome Back 2015 from UA Religious Studies. Back in 2014 we gave the GoPro to Prof. Altman to capture some scenic shots during his bike ride to work, take a look! Welcome Back 2014! 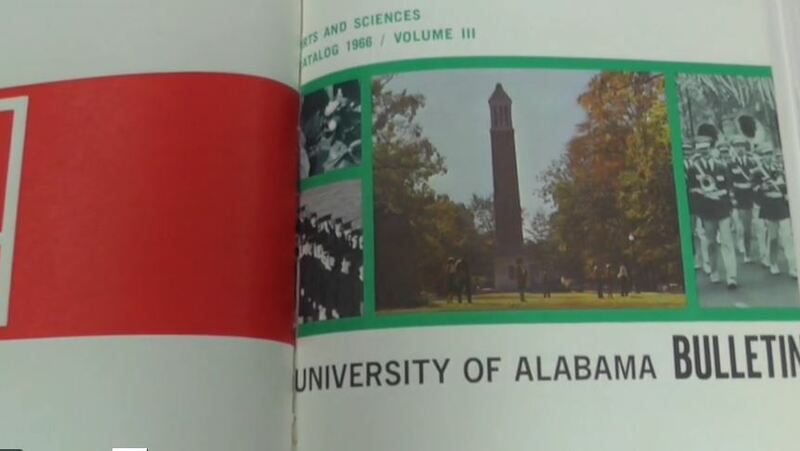 from UA Religious Studies. It’s become a bit of a tradition here in REL to have a Welcome Back video at the beginning of each new school year. 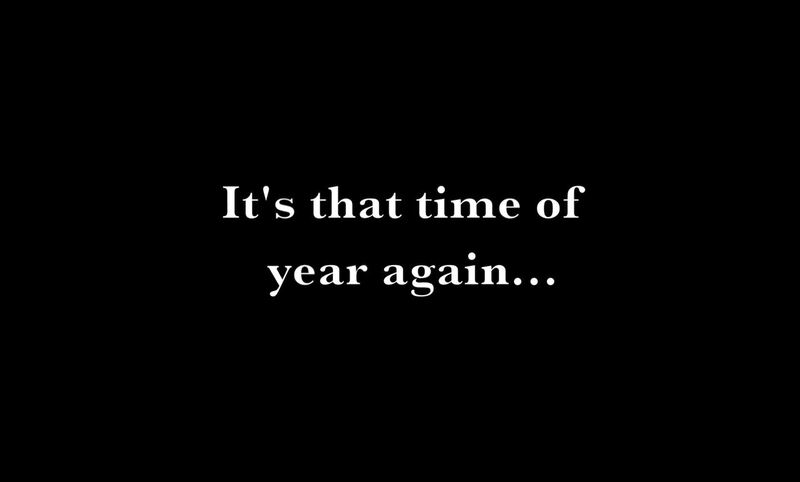 You’ve probably seen past years’ videos recently making the rounds on our social media sites; but now the wait for this year’s video is finally over. P.S. 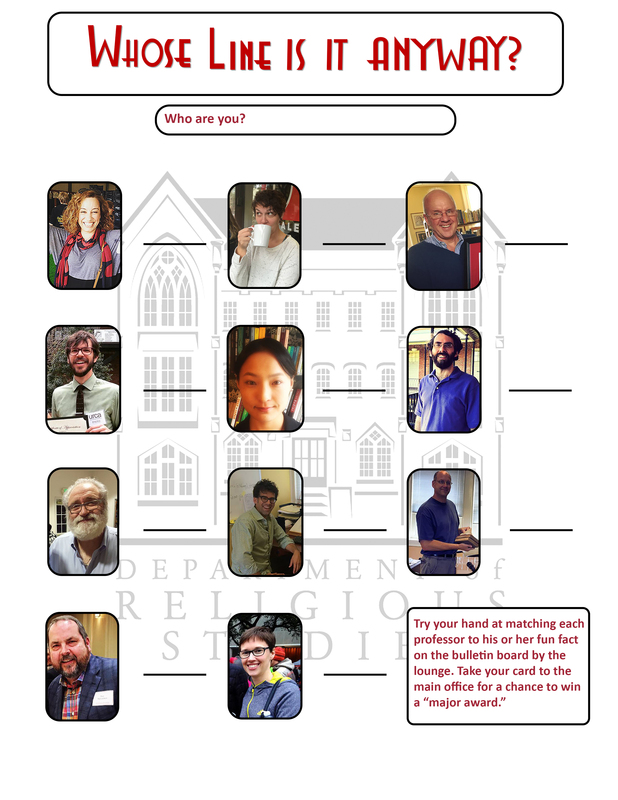 You’ll surely notice some new faces…be sure to say “hello” to new faculty members Matt Bagger and Vaia Touna. Last night’s “Week of Welcome” kick off event, held in Coleman Coliseum, was far better attended than we had imagined. 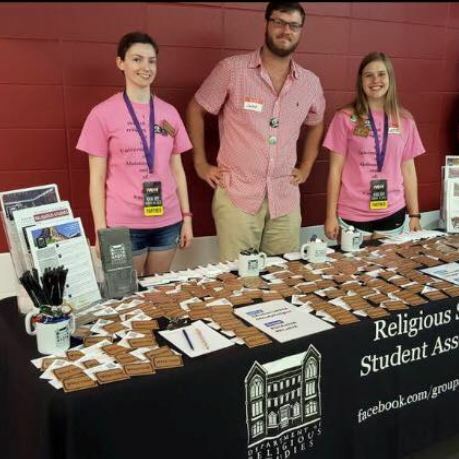 The Religious Studies Student Association was there, along with Profs. Finnegan, Ramey (also representing Asian Studies), and Touna. Along with a few thousand incoming first year students. 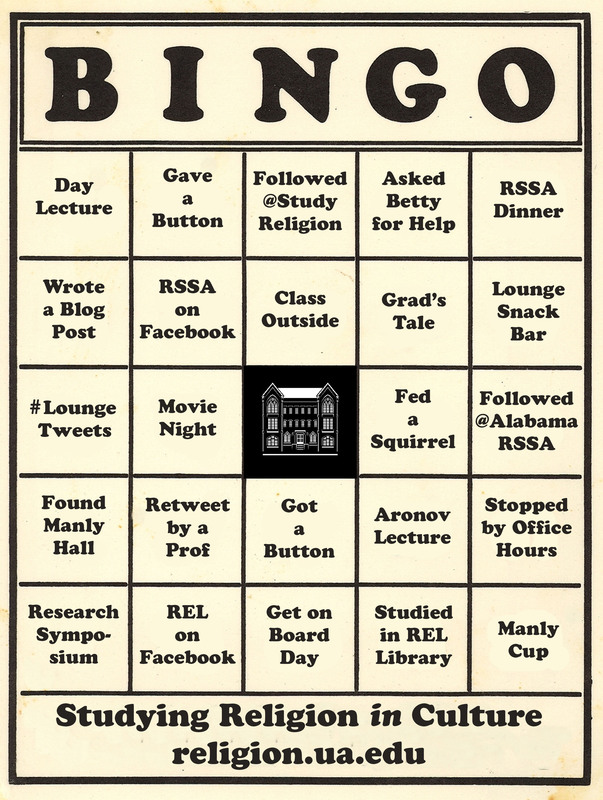 So, you know those 1,000 “welcome (back) mat” buttons that we got this summer, some of which we thought we’d bring to the first day of REL classes…? Well, they’re all gone. 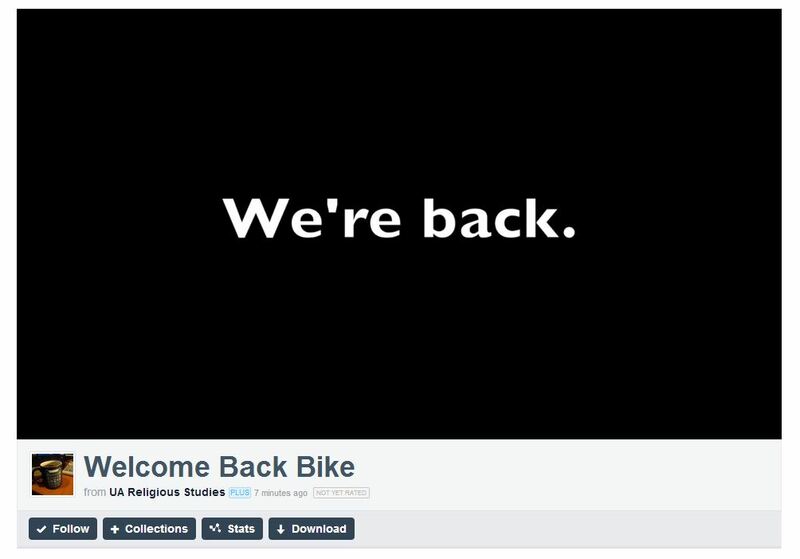 Hopefully the Welcome Back video reruns whetted your appetite — because now the main course is here. 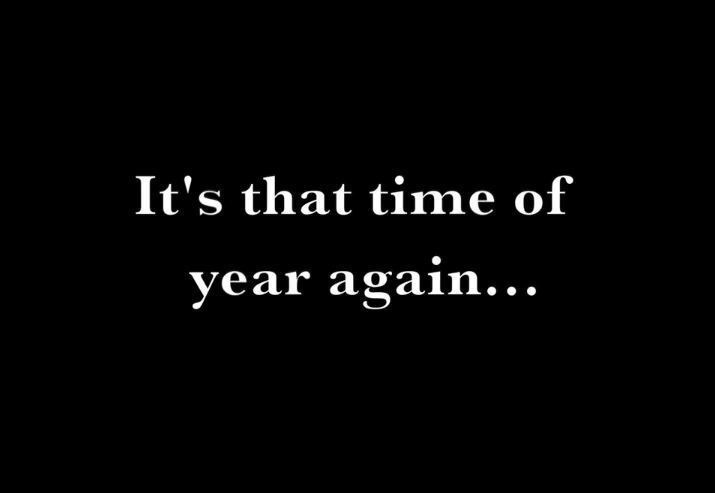 That’s right — it’s the moment you’ve all been waiting for…, the premiere of our 2014 Welcome Back video! It’s time to get back in the groove of school, because ready or not, it’s on! We’re ready for the Fall semester — are you? 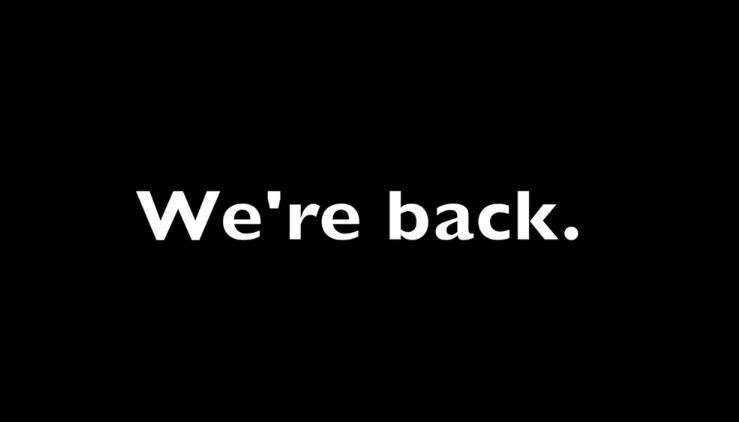 If you’re not, then here’s last year’s welcome back video, to get you in the mood for the world premiere of the REL’s new welcome back video — tune in this Friday at 6:00 am (eastern time)…, or whenever you wake up. Welcome Back 2013! 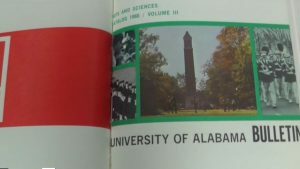 from UA Religious Studies.